You want to trade from home, because it is a simple way to make money. You do not want to run a business, because it is complicated. The bad news is that successful traders conduct their trading activities like a business. This is because businesses make money, and hobbies don’t. To make money, having a business mind-set is essential. Hence, traders cannot avoid running a business. We’ve condensed what every trader needs to know into the 10 items listed below. To become a professional trader, work your way down this list. Trading is our industry. But what’s your sub-industry? This is the first question a trader has to answer. This is because it defines the playing field for your trading business. 1. Decide on your trading market. What market will your trading business deal in? Research the market that interests you. Make sure that you understand it works. What are the active trading hours of the market? 2. Choose your trading instrument. After deciding on your trading market, you need to choose a financial instrument to express your market views. You can trade stocks and forex directly (in the spot market). Some stock indices might be tradeable as exchange-traded funds (ETFs). The other four instruments – options, futures, CFDs, and spread-betting – are derivatives. This means they derive their market worth from the value of underlying assets. For instance, a call option on AAPL appreciates in value when the underlying AAPL stock rises. Another example is a futures contract on crude oil (CL). Its value falls when the price of crude oil falls. Why do we trade derivatives? First, it is impractical or impossible to trade the underlying market. Buying physical commodities is impractical and unnecessary for speculators. A stock index is just a number that reflects the performance of a basket of assets. It is not possible to buy or sell a number. Hence, futures is often used to speculate on commodities and stock indices. Next, derivatives offer leverage. Derivatives allow traders to control the underlying asset with a small amount. Leverage allows an efficient use of your trading capital. However, leverage amplifies both gains and losses, and you must exercise caution. Before you trade with any financial instrument, make sure you know the following. Your trading strategy is the centerpiece of your trading business. In fact, it is the key to sustaining it. It must tie in with every aspect of your trading business. First, choose a trading strategy that makes sense to you. Then, select a time-frame that you can trade realistically. 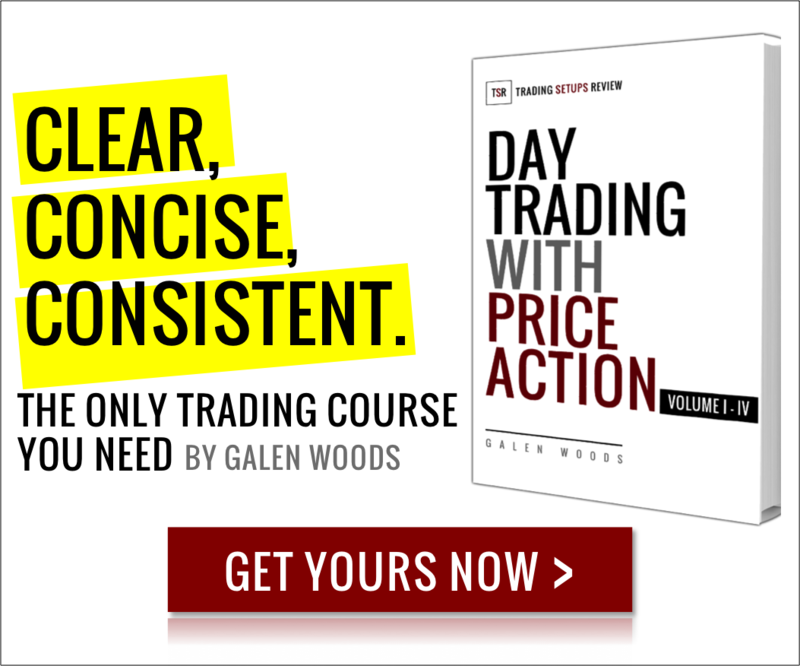 Do you have time for day trading strategies? Or should you focus on swing trading? Need some ideas? Take a look at our reviews of trading setups. Finally, work out what you need to trade the strategy practically. If you want to use options strategies like straddles/strangles, you need an options broker. If you plan to day trade, you will need a discount broker to cut your trading costs. If you need a custom indicator to trade, choose a platform that allows custom coding. As you can see, your trading strategy has wide implications on other aspects of your trading business. Your trading infrastructure must support the execution of your trading strategy. This is why you must decide on your trading strategy first. 4. Set up your trading computer. A computer is essential for analyzing and trading the markets. It is the workhorse for your trading business. You don’t need a supercomputer from NASA, but you do need a reliable machine. When setting up your trading computer, consider the following. Day traders need faster machines as each incoming price tick is important to them. Furthermore, quick execution is crucial. On the other hand, swing traders can do with a basic computer setup. For back-testing of trading systems, a high performance computer will save time. Always check the minimum requirements of your trading platform. Make sure that your trading computer can handle its load. Balance your trading needs with your budget. Consider your trading needs and decide if you really need that costly gaming computer. 5. Choose your trading broker. You need to place your trades through a broker. For a trading business, your broker is a critical link to the markets. Google for the review of any broker. Very likely, you will find more dissatisfied traders than happy ones. The reality is that no broker is perfect, and traders love to complain about their brokers. That does not mean that you should switch your broker constantly. Conduct your due diligence, and always think twice before changing brokers. For more information on how to choose your trading broker, refer to this in-depth guide. Your broker might fail. Make a plan for that too. 6. Set up your trading platform. A trading platform is basically an order entry software. You enter your buy and sell orders through it. It is either a desktop software, mobile app, or a web application. Some trading platforms have integrated charting functions and other analysis tools. Trading platforms differ in the type of order entries they support. Your trading style and strategy will dictate what you need. These are some useful order entry functions. The trading platform is the control station for your trading business. Choose one that supports your trading strategy. Then, familiarize yourself with its functions. A successful trader is a great risk manager. Pay attention to this section if you want your trading career to last. 7. Size your trading position. Position sizing is critical to a trader. Trade too small, and you get a poor return on investment. Trade too big and, you risk blowing up your account. There are three golden rules of position sizing. Have a system. Learn more about position sizing models here. Your fear and greed will cause you to pray and hope. Your flaring emotions form the main stumbling block to consistent trading results. The first step to mastering your emotions is to become aware of them. Start a journal to record how you feel before, during, and after taking each trade. Then, use these resources to improve your trading psychology. 9. Write your trading plan. Every business has a plan. For an individual trader without a supervisor, a plan for your trading business is essential. Many traders have plans in their mind. But having them on paper does help with give it a structure. And a structured plan reduces risk. A trading plan should include everything we have discussed above. More importantly, a trading plan should focus on reducing risk. Include rules to ensure your trading edge, avoid over-trading, prevent technical failures, and prevent account blow-ups. Nobody likes to pay taxes. But this is a good problem as only profitable traders get to pay taxes. Taxes for a trader is tricky. It depends on your trading style, markets, and tax jurisdiction. Hence, it is difficult to find specific advice. To get the basics, start with these. When in doubt, consult a tax professional or your local tax authority. This checklist offers a skeleton for your trading business. It is up to you to build it up into a profitable and sustainable venture. As you gain experience, you will see the interplay among different aspects. You must plan and accept trade-offs within your trading business. For instance, choosing a more expensive broker that offers the trading platform you prefer. Do not treat your trading business setup as a one-off project. Ultimately, your trading business must evolve over time to keep its edge. Still searching for a sensible trading approach? Try the minimalist’s favourite – price action.